Papers: 2009-2010; 5.25 cubic feet, 468 megabytes, and 23.1. gigabytes.. The Mary Jo Kilroy papers consist of 5.25 cubic feet of textual materials, 468 megabytes of documents in electronic format, and 23.1 gigabytes of digital audiovisual files. 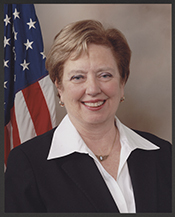 Dating from 2009 to 2010, the collection documents the activities and accomplishments of Mary Jo Kilroy (D-Columbus) as a member of the U.S. House of Representatives for the 15th Ohio Congressional District. Congresswoman Kilroy served a single two-year term in office during the 111th Congress. A finding aid is available in the repository and online.